Johnson, Phyllis. Being Frank with Anne. 186pp. Words at Play Publishing. December 28, 2007. 9780979087820. CreateSpace Independent Publishing. November 18, 2011. 9781467951432. Grades 6 and Up. 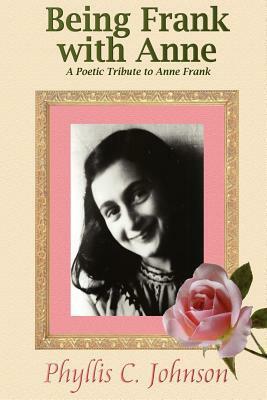 In “Being Frank with Anne,” first published by Words at Play Publishing in 2008, author Phyllis Johnson creates a meaningfully stunning poetic piece of work that responds to the impact Annelis “Anne” Frank‘s young life has had not only on her as a young girl reading Anne’s diary for the first time, but what it’s had on the world. Each chronologically entered poem coincides with and retains the poignant historical accuracy of Anne’s original diary entries. Each poem stays within the perimeters of one page, reflective of the essence of that particular day, allowing the reader the opportunity to think of not only what is written but to infer on what is not. 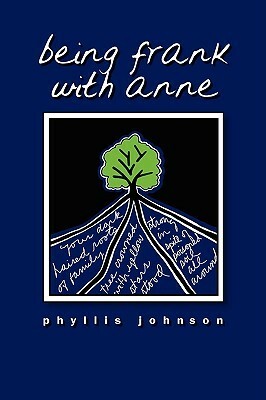 The book’s first poem is about Anne’s 13th birthday with her having been given several gifts, one being a diary and mentions how Anne referred to the art of keeping up a diary as a way to provide one with a “passage to sanity.” Little did she know three weeks later that is exactly what her diary’s purpose would literally turn out to be. Much of Johnson’s responses are unprecursed conversational references that are directly addressed to Anne, creating an intimacy of exchange that pulls the reader right into Anne’s world and acting reassuringly as the confidant and advisor that Anne was never privileged to have.